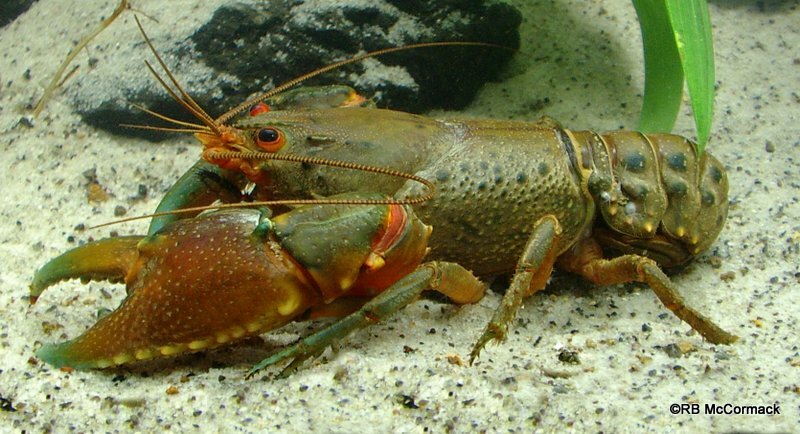 This small intermediate group crayfish is relatively widespread and prolific. It is found in coastal mountain streams of New South Wales from north of Coffs Harbour to Telegraph Point in the south and Rolland Plains, Dorrigo and Nymboida in the west. They prefer clear water with dense overhanging terrestrial vegetation. Its greatest populations are in forest streams but it can also be found in lesser numbers in the streams through cleared grazing paddocks. Larger animals will wander the ponds during the day, especially after mid-afternoon. They can be active day and night, but most populations have their peak activity at night. We were researching them in the forest streams near Bellingen, NSW and the streams in the area were perfect with good numbers in all suitable streams. They are a sociable species and small deep pools in otherwise dry creek beds will often contain many E. dangadi living around the edges or in the steam bed. Euastacus dangadi spends much of its time in its burrow. They burrow both into the banks and into the stream bottom, and any shelter is utilised. Burrows can have two to over ten entrances and some banks can be honeycombed with burrows. We were researching streams in the Bellinger River and everything was flowing nicely. 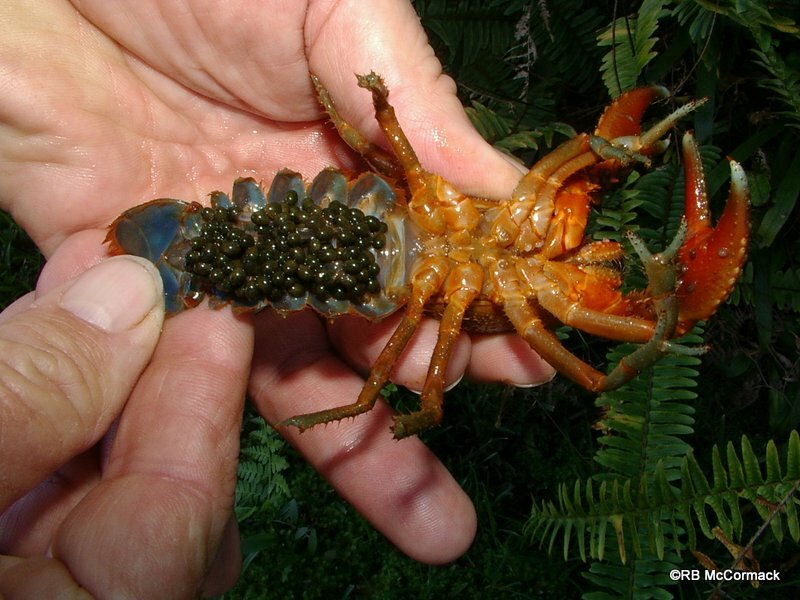 Euastacus dangadi can be found from near sea level up the catchment to 550 metres or so and we were attempting to find them in the upper catchments in the 400-500 m range. Unfortunately, most of the Bellinger River catchment is remote and inaccessible so we had a high level of difficulty accessing suitable streams either being too high or too low. 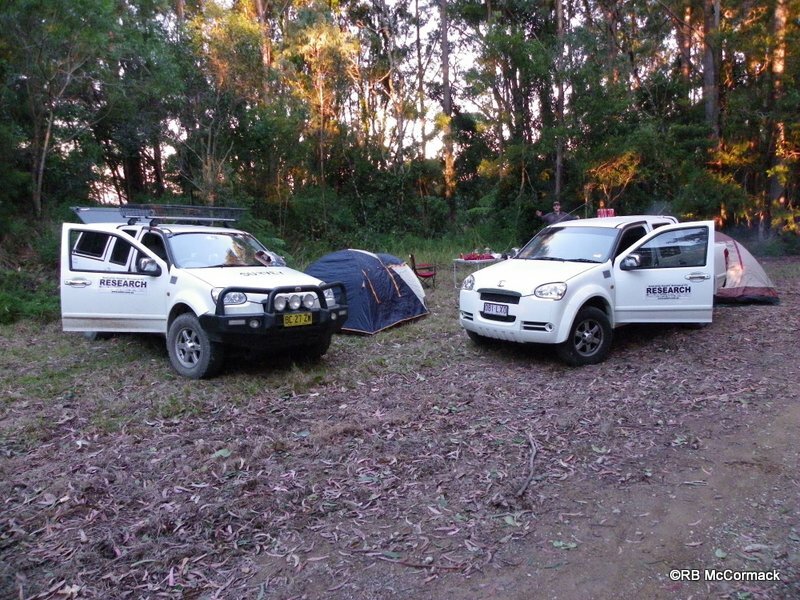 This was the first of a series of surveys we will be doing on the Bellinger River catchment and it was just what we call a “touchy feely” to ascertain what’s required for next time. This recognisance of the area identified which National Parks and forests we need to survey so we can contact the appropriate NP&WS officer and which private property owners we need to contact to access streams through their properties, etc. We will be back in the area better prepared later this year so stay tuned for further updates.